New Ash Green v Hartley Country Club III - Not only the regular local derby meeting, but also a head of the table clash, so there was a degree of pressure riding on the match for both teams. Having won the toss, New Ash Green chose to bowl. Both runs and wickets were hard to come by. Returning to League cricket from injury, M Sumner (2-19) finally made a breakthrough in the 16th over and the opposition were 42-3 at drinks. Although change bowlers N Delaffon (3-32) & A Gleeson (1-30) added to the tally, Hartley Country Club finished out the 40 overs with 123-6. After tea New Ash Green had a similarly difficult time scoring with the long outfield, opener G Wale (26) entrenched himself but at the other end, batsmen struggled to stay with him. Although at a similar position at the 20 over mark, New Ash Green failed to accelerate whilst conceeding wickets, A Gleeson (23) the only other batsman to make double figures and New Ash Green were all out shy of the required total in the 34th over. Bexleyheath V v New Ash Green - Also winning the coin flip, the skipper chose to bat and New Ash Green set off well, the visitors were 88-2 at drinks. 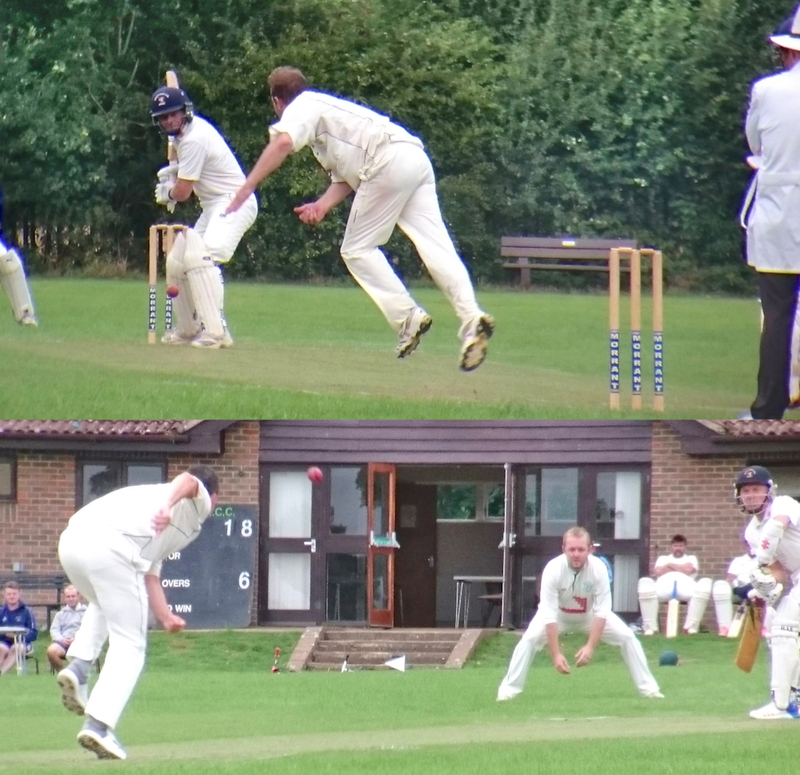 Opener G Jones was no doubt frustrated to be caught 2 runs shy of his 50, but with good contributions also from M Ives (36), S Funnell (35) & J Clark (39), New Ash Green batted out the 40 overs for a useful 193-6. After tea, it was again the opening batsman leading the way: M Mawdsley carried his bat for 65*, but his team mates had more difficulty remaining at the crease with him under the visitors' attack. They managed to bat out the 40 overs but at 155-9 finished 38 runs short having only added 14 runs for the final 6 overs. E Quantrill (3-46), G Freeman (2-8), F Quantrill (2-24) & M Gallagher (1-25) collected the wickets with the assistance of catches from Jones, Funnell & Freeman. Another win but still two games left in the season. Bowling attack - facing New Ash Green 1st XI. For more club photos check out our gallery & also our instagram.